Well, it has been a while since the last update, but the club is still doing well- it is just that most of our members access club related information through our facebook page (the link is in useful links at the left). What has changed? 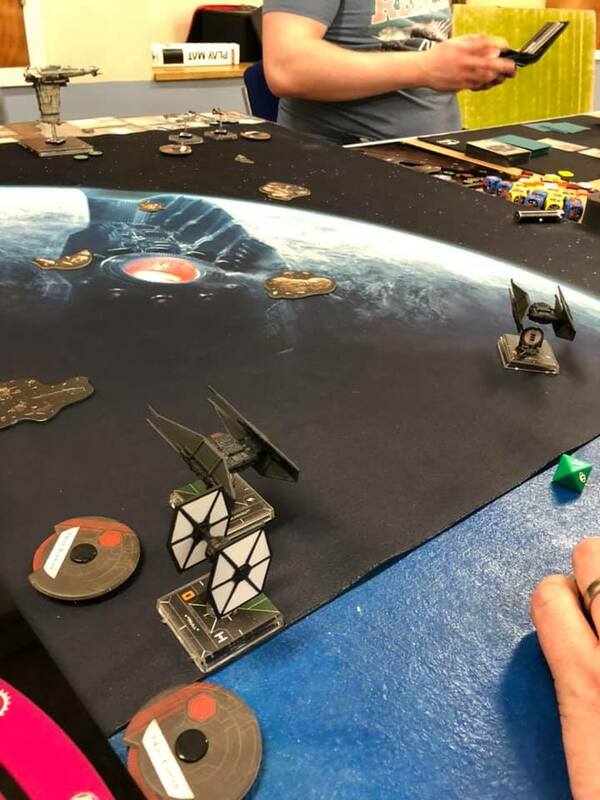 Well, the number of players who turn up each week has now gone up- we regularly get 20+ people on a Wednesday night, and the range of games played is even larger. 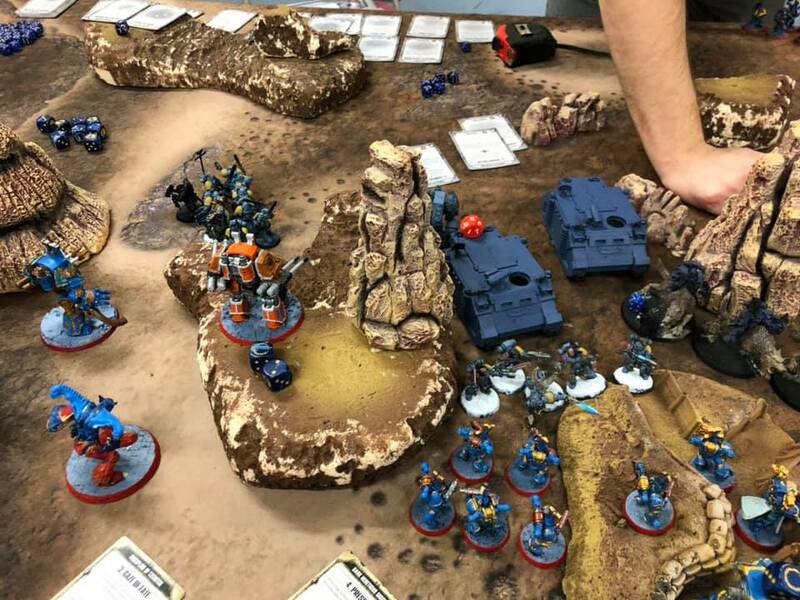 Currently we have a lot of Warhammer Underworlds players, 40k & 30K players, X-Wing, WarmaHordes, Adeptus Titanicus, Age of Sigmar, Dropfleet commander, a few Mantic games players (Dreadball, Deadzone, Kings of war etc), and the occasional boardgame players too… and this list is by no means exhaustive! 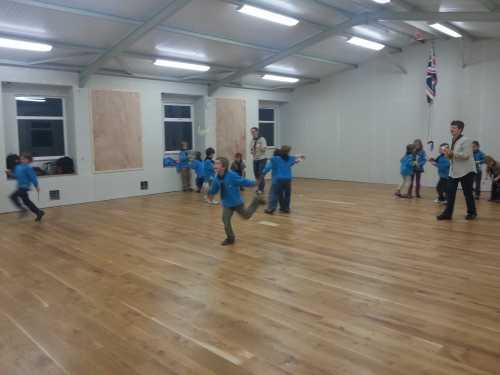 One other piece of good news is that the increased attendence has enabled us to buy more mats and terrain suitable for a range of systems. As the photos show, this looks very good. One thing to note is that they have change the parking regulations on the surrounding roads so, while we can still get about 10 cars in the carpark, parking can be a little more tricky on very busy nights. 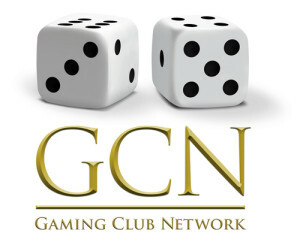 We have now joined the Gaming Club Network (GCN)… isn’t that great news? 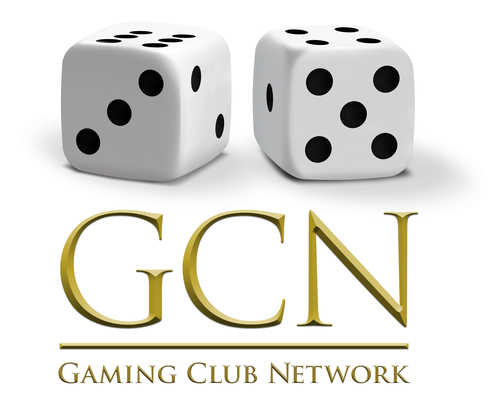 The Gaming Club Network (GCN) is a voluntary organisation, created in 1999, set upon the idea of bringing together like-minded people to encourage others to try our hobby. 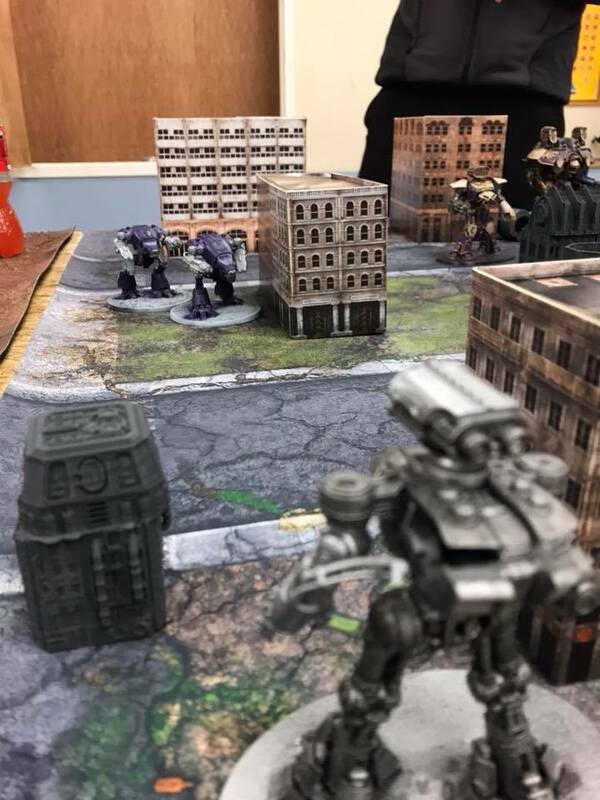 Our purpose is to provide the opportunity for individuals and member clubs to participate in the hobby of collecting, painting and gaming with miniatures, table top games, Board games and role play games. The things you will most easily notice are discounts from gaming companies (including some free games for the club! 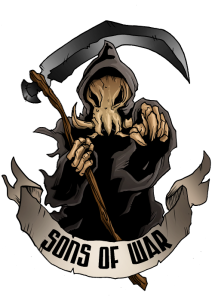 ), notification of events run by other members and advertising of our club on their site and in gaming publications (although, if you are reading this, you have already found us). Well we are still here, even if I don’t update this as often as I should. 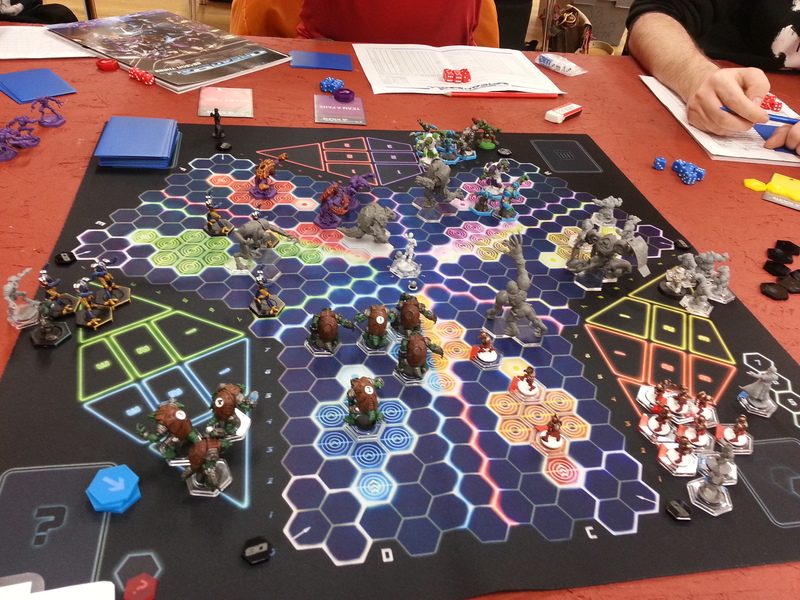 Anyway, the annual Dreadball league will be starting in the next couple of months. If you are interested in signing up or finding out more, comment here or on our facebook page (link is under “useful links”). 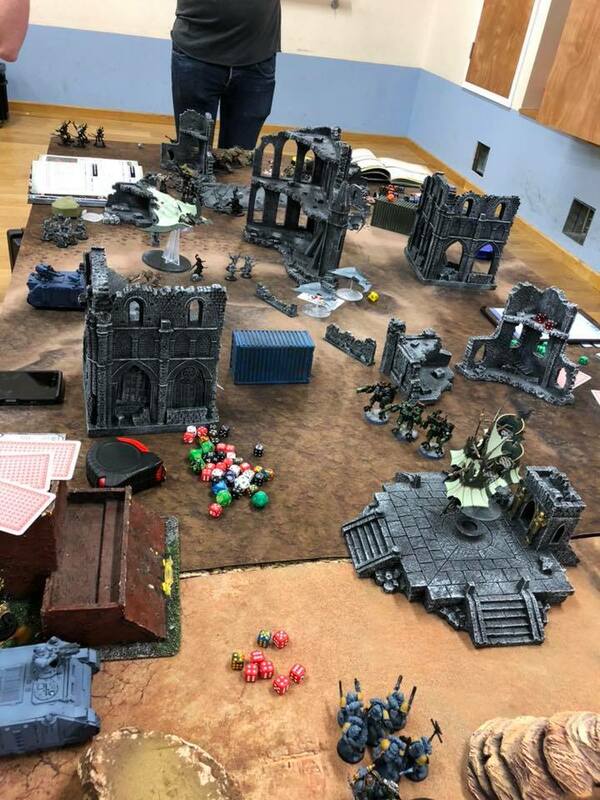 Things are going quite well for the club and attendence is up- no doubt helped by GamesWorkshop’s policy of closing 2 days a week and not having a late night gaming evening. 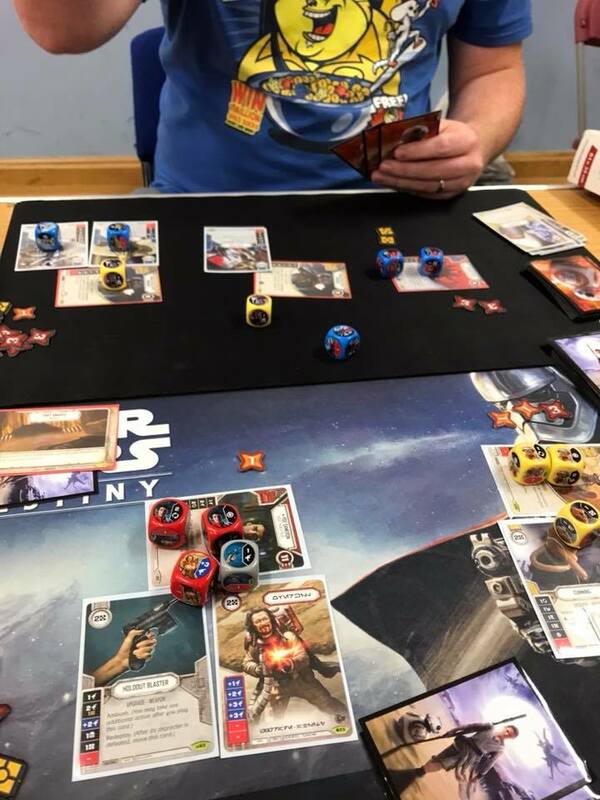 But we are happy to be here for all your gaming needs and support them by providing a friendly evironment to play GW’s and others gaming systems- their loss is our gain! We seem to be looking at ~15 people a night, but we are still not crowded if you want to come and try us out. We also now have a Facebook group, if the forums are not enough (you need to be logged into Facebook to see it). It is an open group so you should be able to just join yourself. We have people chatting about everything from new codex prices to questions about the club and even a discussion about Warhammer Fantasy Battle (yes, my personal bias is creeping in…). 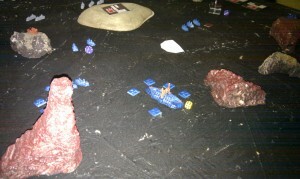 There are also quite a few pictures of people’s miniatures. Why don’t you have a look and see what is going on? I have added a link to the left hand side of site, so you can easily find it. If you would also like to see the club on twitter or Google+, or indeed any other social media site, let us know and I will do my best to make it happen. A couple of people have asked about the possibility of painting on club nights. If this is something that would interest you, post on Facebook or the forums or even email us directly. We would also like to hear what form you think this should take as it is not something we have offered in any form before now. …at least I hope that is why we have been quite light on the ground at recent meetings. Maybe you are all relaxing in the sun or having barbeques…oh yes, this is the UK, so it has rained almost solidly for the last 5 weeks….. Anyway we would love to have you back, so if there is anything putting you off, or something you would like us to do, let us know, we are not psychic. We run this club for you the members, so if you are not happy- tell us. 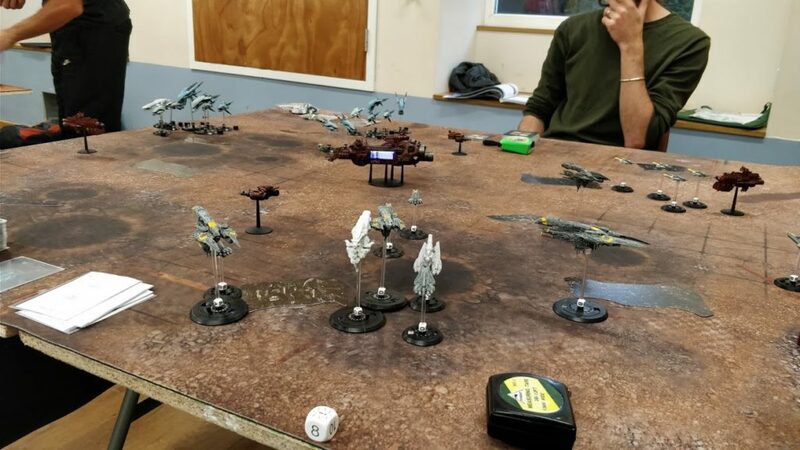 In other news, some of our glorious committee members are straying from the true path of gaming that is GW errr, sorry, are broadening their horizons and taking up Dystopian wars. This is a primarly ship based game (although there are land forces too) with a futuristic steampunk feel. It looks like a pale shadow of Man’O War oops another minor slip up, quite fun with its “exploding 6s” mechanic, meaning that nearly anything can theoretically destroy anything else, with a lot of luck… Quite a few people are trying this out at the minute so there will be a game of it running pretty much every week if you want to see what it is about. oh dear, what has the flash done to the paintjob? The ships are quite good too, as you can see from this blurry overexposed photo (sorry), and it it quite cheap to start compared to the likes of GW (but then, what isn’t?). We should soon have some “sea” boards, which may look more than a little like this black board, just in blue…. 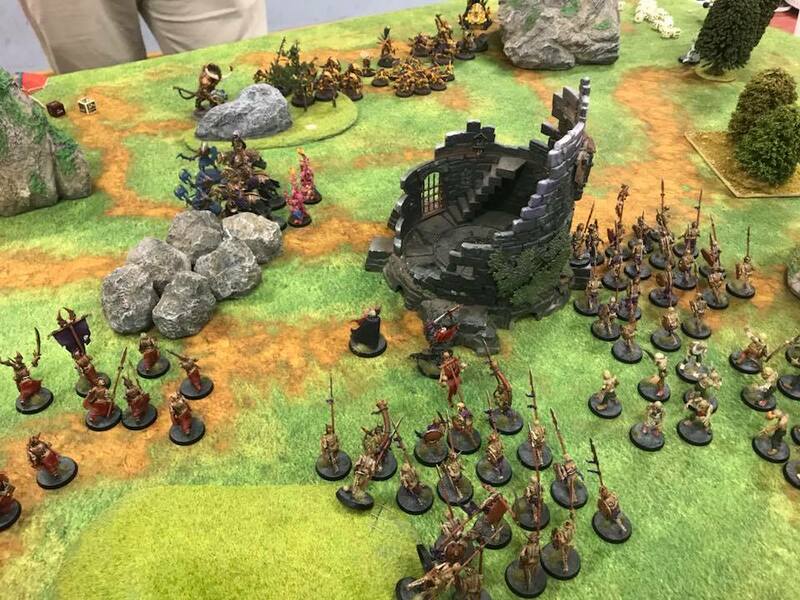 And, to end this post on a shameless request, I am still hoping to stick to the one true path of Warhammer Fanstay Battle, so if you would like a game, let me know. I don’t mind your skill level, army, paint (or not) or even if you don’t have an army and just want to try it out. So this is clearly only for guys in the local area.. sorry! But we need to get the club back on form! 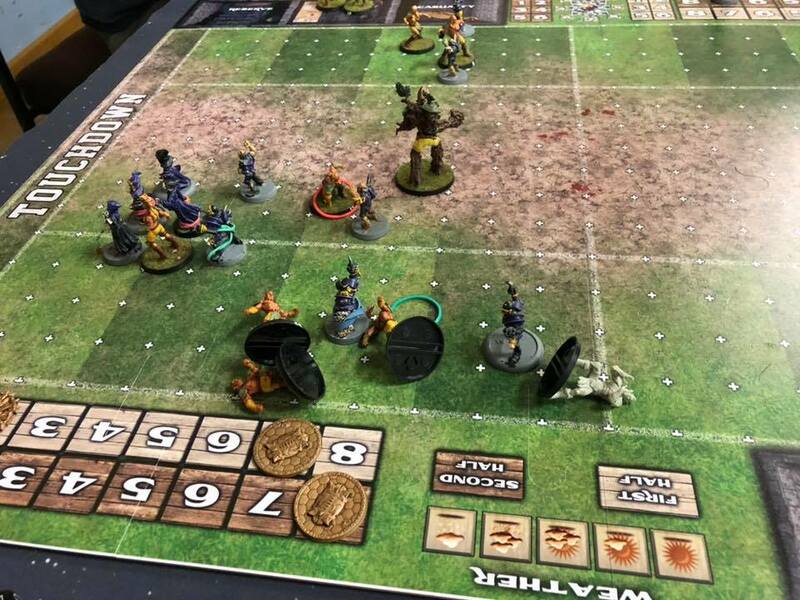 It is a 2 week, 4 game tournament with 2 games per evening on consecutive Wednesdays! 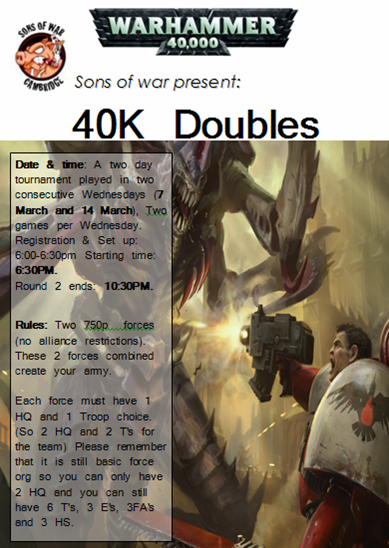 The details are on the flier above and it is a DOUBLES TOURNAMENT! 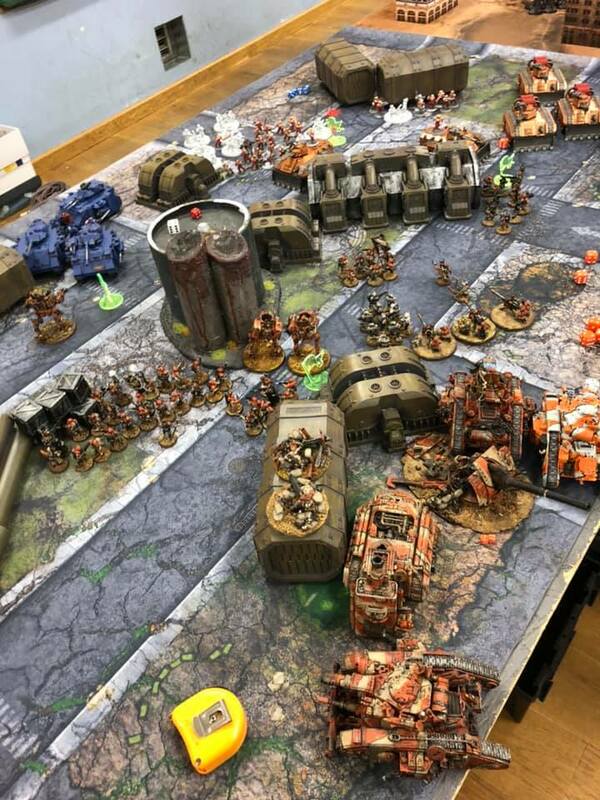 So, grab a partner, throw together a 1500 point army and get on down to the club! Set up is from 6-6.30pm, then Round One is 2 hours, Round 2 is 2 hours. We have parking at the club and for free down Flamsteed Road. If you need a partner, throw a post up on the club forum and we’ll find you someone to play with. 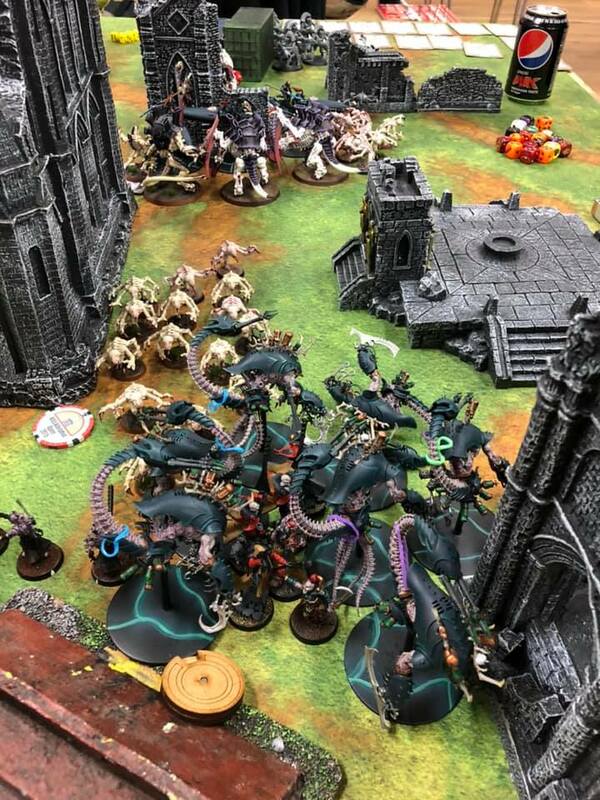 If Warhammer 40K is not your thing, we are also going to be running an Escalation Warhammer Fantasy League starting from 7th March – start at 500 points and add 500 points every month in manageable chunks…avoid having unpainted models backed up on your desk!! Great way to get some Fantasy in!! 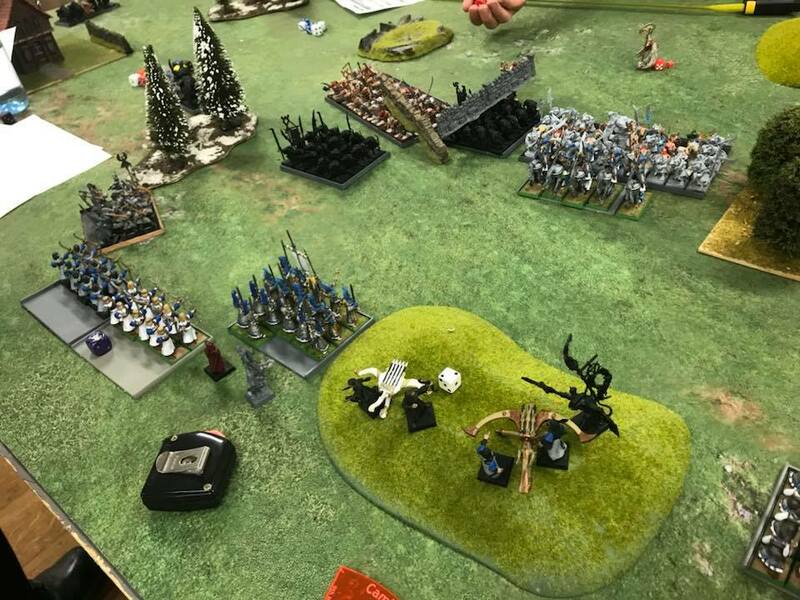 If you are an experienced player, come on down with a new army and build up over the months to the staggering sizes of Fantasy! 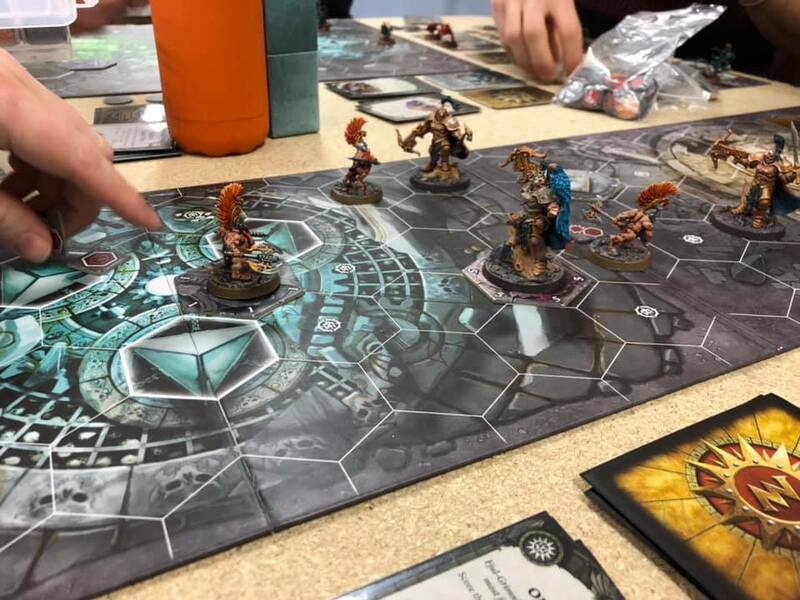 The perfect opportunity to learn to play and get those Christmas models on the tabletop finally!! 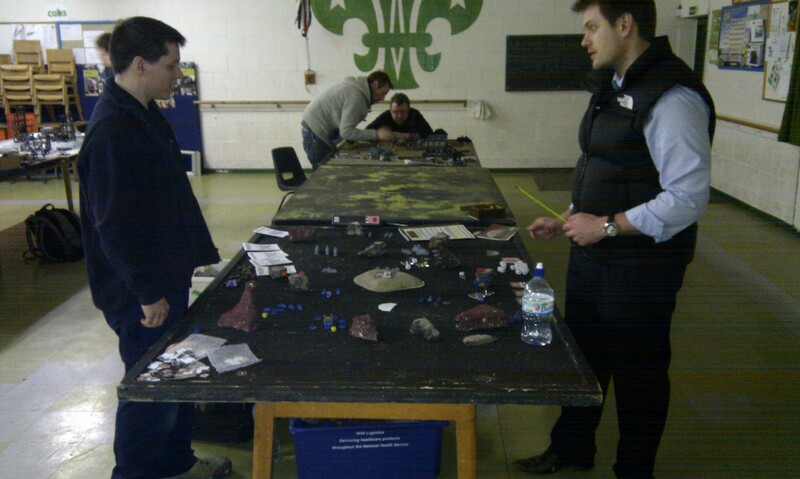 Don’t forget we still run Warmachine, Malifaux and regular pick up play for 40k. See you at the club! !